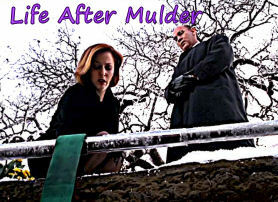 In these stories Mulder is gone and Scully has had to move on with her life (often with Skinner or Doggett). In some he didn't return from his abduction and in others he was really dead in This Is Not Happening. Sometimes he reappears, sometimes he doesn't. And I Drove Away by Becka F.